Football practices at the United States&apos; elite Ivy League universities may be a little bit quieter next year. Buddy Teevens eliminated full-contact hitting at Dartmouth College football practices during the 2010 season. His Big Green players now take aim at a 5-foot-10-inch, 150-pound robotic dummy developed at the college’s Thayer School of Engineering. Their MVP — an acronym for Mobile Virtual Player — made its debut during the preseason last August. Injury and concussion rates have dropped. His players were fresher, and healthier, as the grind of the season progressed. And the lack of tackling live bodies, in this case teammates, did not negatively affect success on the field. On the contrary. This past fall, an on-the-rise Dartmouth program shared the Ivy League crown with Harvard and Penn. Now, Teevens and his coaching brethren in the Ivy League have taken a rather dramatic step. Last week, at their annual offseason meeting in New York, the league’s eight head coaches voted to eliminate full-contact hitting from practices during the 10-game regular season. The move is expected to be in place for the 2016 season, once it is approved by the league’s athletic directors and college presidents. Harvard has not had scrimmages, or live tackling, in practice after the kickoff of the regular season in 15 years. In that time, Harvard has the second-highest winning percentage in Division 1. His thoughts on the matter were reinforced after a visit with St. Louis Rams coach Jeff Fisher in the spring of 2010. Before implementing his new policy, much to the initial surprise of his players, Teevens estimated Dartmouth averaged 15 to 20 concussions per season. This past fall, there were two, and both were the result of pre-existing conditions. “At this stage in their careers, these guys know how to hit and take a hit,” Teevens said. By his calculations, his players were making 500 to 800 tackles a year in practice — between spring drills, preseason, and the 10-week regular season. After consulting with rugby coaches, Teevens has focused on proper technique. Michigan-based Rogers Athletic, with the assistance of Dartmouth engineers, will start producing “MVPs” this spring for use around the country. 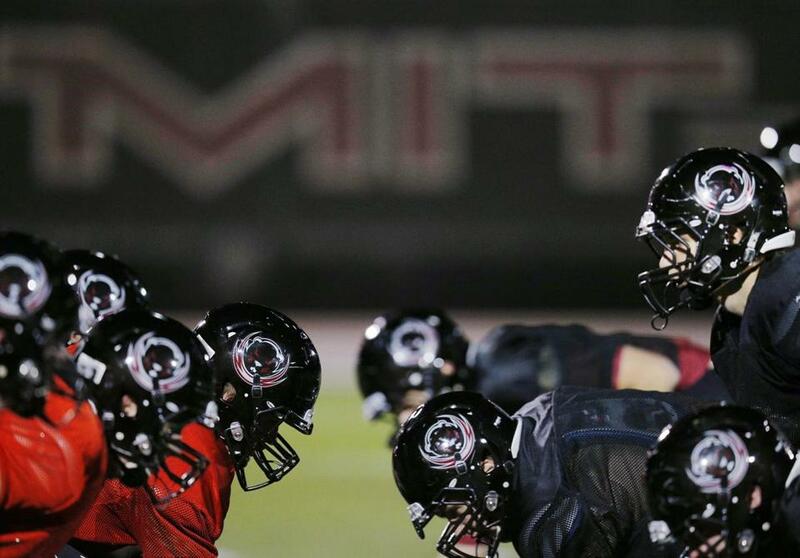 It is not the first time the Ivy League has taken initiatives aimed at player safety. In 2011, the league limited full-contact practice sessions to twice per week. At the time, it was three fewer than what the NCAA allowed. (The NCAA now permits full-contact practices twice per week). Contact workouts in the preseason were cut to one during two-a-day workouts. Contact limits were also put in place for spring drills. Dr. Robert Cantu, co-director of the Center for the Study of Traumatic Encephalopathy at Boston University’s School of Medicine, told the New York Times that limiting full contact in practice drills “all shows that you not only have fewer subconcussive hits, but also concussions. Limits, though none previously eliminating full-contact practices, have gained momentum in the past five years from the NFL down to the youth level. In 2011, the NFL introduced new practice regulations, allowing teams just 14 padded practices during the season, 11 of which are conducted during the first 11 weeks of the season. In training camp, two-a-days have been replaced by one full-contact padded accompanied by a walkthrough. In Pop Warner, no full speed head-on blocking or tackling drills are permitted. Last year, USA Football established a limit of “full contact” to 30 minutes per practice session. Will the Ivy League’s vote spur action from other conferences, in particular the Football Bowl Subdivision? Craig Larson can be reached at craig.larson@globe.com.